Handy before a match, but inevitably crowded...BBQ is too expensive. Nice riverside stroll down to the ground,FFC. Couldn't get a table on Sunday for lunch, was given a BBQ menu which included a bowl of �6 chips!! That's right, I said �6!! �22 for a steak, on the BBQ, I think they may have lost sight of what their customers actually want. 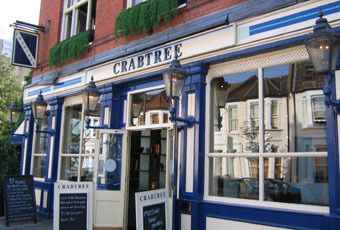 The pub was not full and there were a number of tables inside empty, come on Crabtree, sort it out!! Will not be returning to this pub again and do not recommend anyone else waste their time and money. Staff unwelcoming, service poor, they will take your money then tell you to leave! Am in the Crabtree now - my second visit. Enthusiastic barman remembered me. Decent real ale selection and fish and chips was good if pricey. I won't be back here for another year as I only have to venture to W6 to see my accountant. My main criticism is that for lunchtime and mid-afternoon the music is inappropriate and too intrusive for the clientele. It's a right row and there's no escape as there are speakers everywhere. Used to be an OK sort of place, staff were adequate, quality of food reasonable, real ale a bit hit and miss, place to avoid in the summer (too busy). 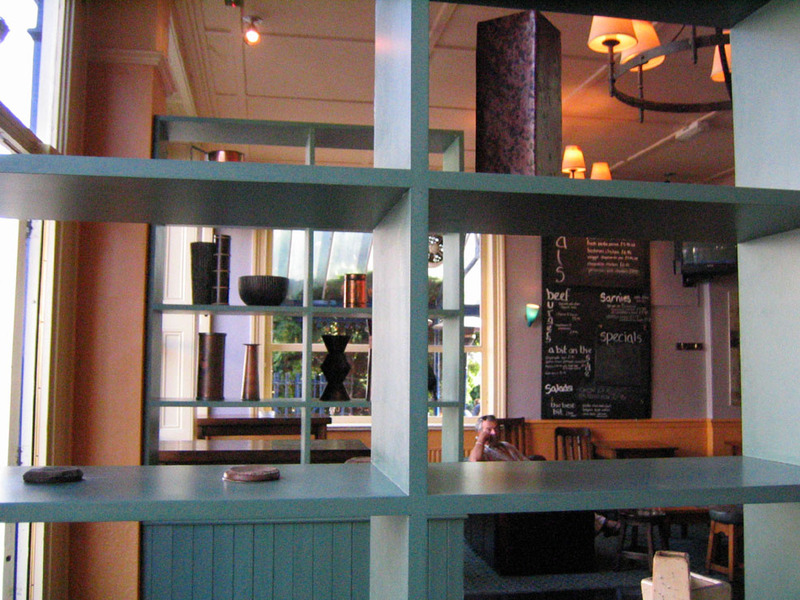 However, since acquired by Greene King, staff now totally inadequate, food inadequate, real ale inadequate, as for the summer, go there because if it stays as it is your have plenty of space to sit alone and contemplate "I really should be somewhere else".